If youre interested in a winter vacation here in the Eddy’s pack up your long johns and sweaters and hats and gloves and plan on sipping hot coco in the snowy ridges after a fun day in the snow! 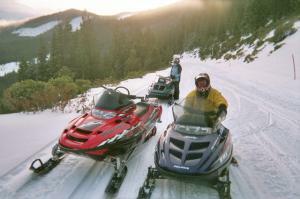 A trip to the snowy mountains in Weed, CA has many winter sports and games available. Whether you enjoy snow shoing, skiing, snow boarding, or snow mobiling we have great roads that lead to all sorts of adventure. County Rd. 17 is highly recommended for winter fun! Make sure you have chains and 4 wheel drive before you go in too deep on any mountain road. One local business you should check out for snow mobile rentals and equiptment is the FUN FACTORY located here in Weed, you can reach them by calling 530-926-5387. Enjoy your Winter stay High in the Mountains of Weed, Ca.